We marched past “coming in like a lion and going out like a lamb” and then later April’s showers indeed brought May flowers. 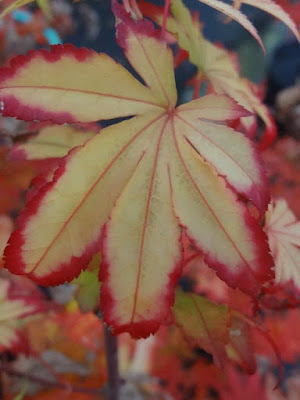 Now, nearly mid May, the nursery and gardens are opulent with colors ; and if the Eskimos really do have twenty words for snow, so do I for red foliage on flowers or leaves, or for green foliage on various deciduous trees. The riot of colors reminds me of Eva, an ex-employee from Honduras who bombastically adorned herself when stepping out on Saturday nights as if a tropical bird was looking to mate. 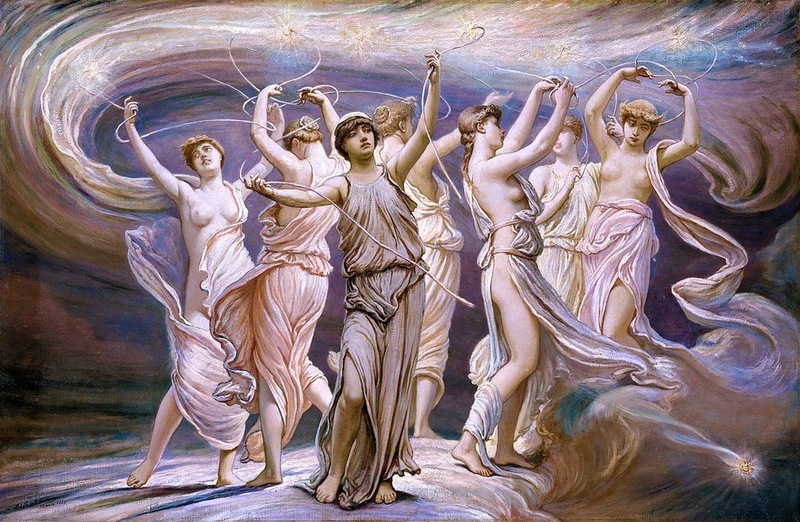 Let’s start with a tour of the reds. 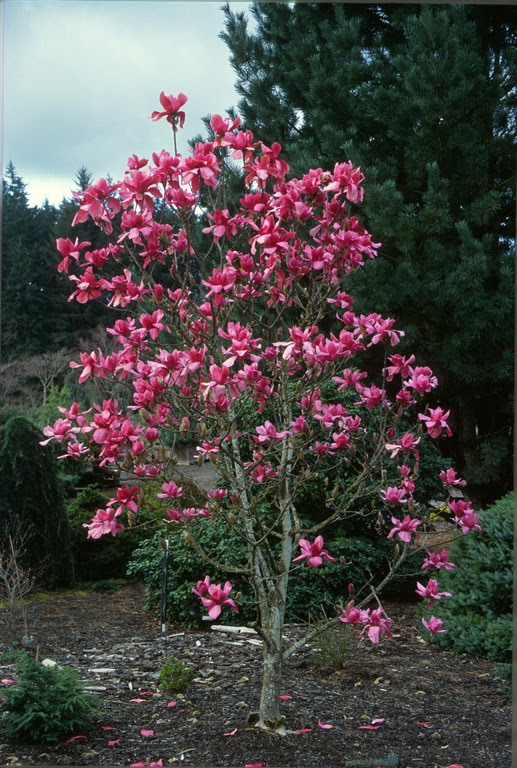 Magnolia x 'Vulcan' has just finished flowering, but there still remains some bloody tepals on the garden soil. 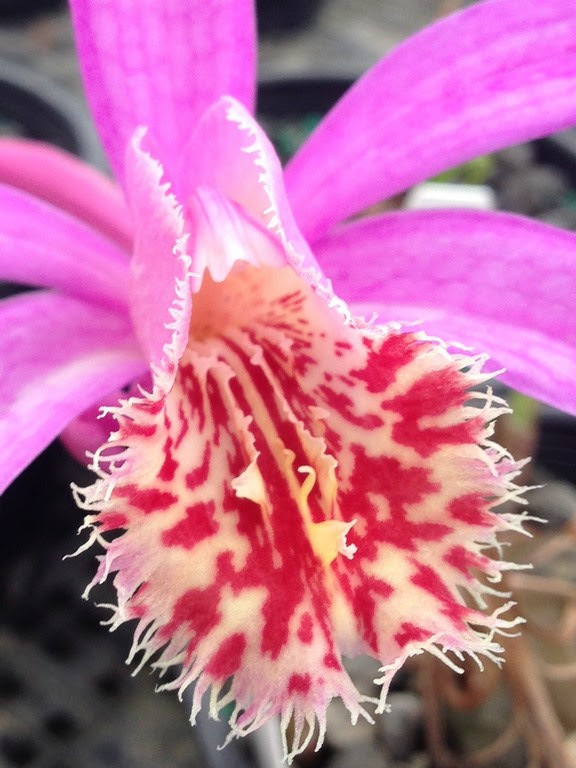 This complicated hybrid (M. campbellii ssp. mollicomata ‘Lanarth’ x M. liliiflora ‘Nigra’) is only hardy to 0 degrees F, or USDA Zone 7, and then further one must worry about a hard frost once the buds are set. For us about one out of every five years the flower buds are cold blasted and we can only shrug and wait for the next season. This year was magnificent however with port-wine red blossoms that could almost be called black, but I confess that every year the color can vary, even on the same tree. 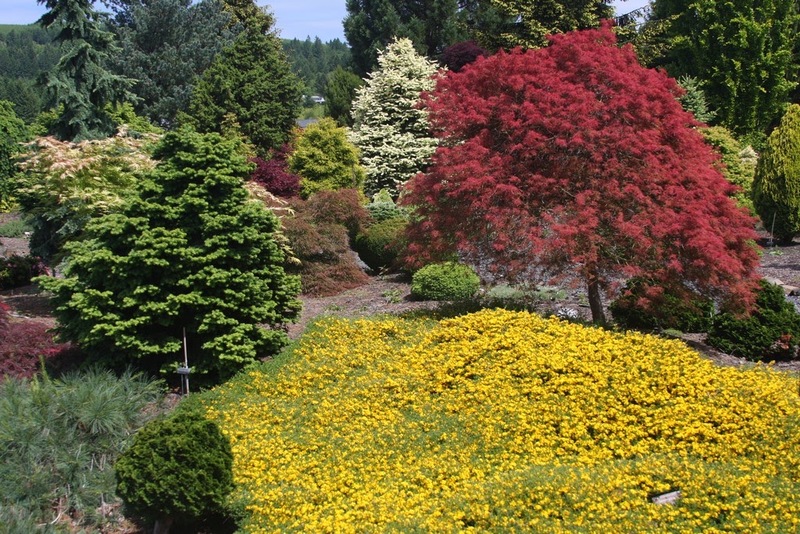 This situation can lead to “expert” speculations, such as juvenile and adult trees color differently, or that soil types affect the color, or that the color will vary whether the tree is grown in full sun or in partial shade etc. 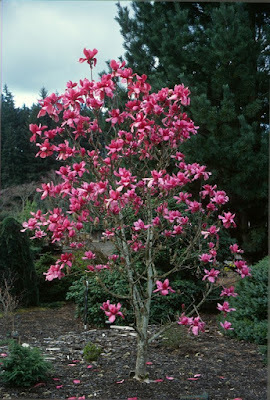 Well, I don’t have a theory except that some springs are just fantastic Magnolia years like we’ve just experienced. This past Easter Sunday I surmised that there would be no Buchholz event other than Haruko cooking a fantastic dinner. 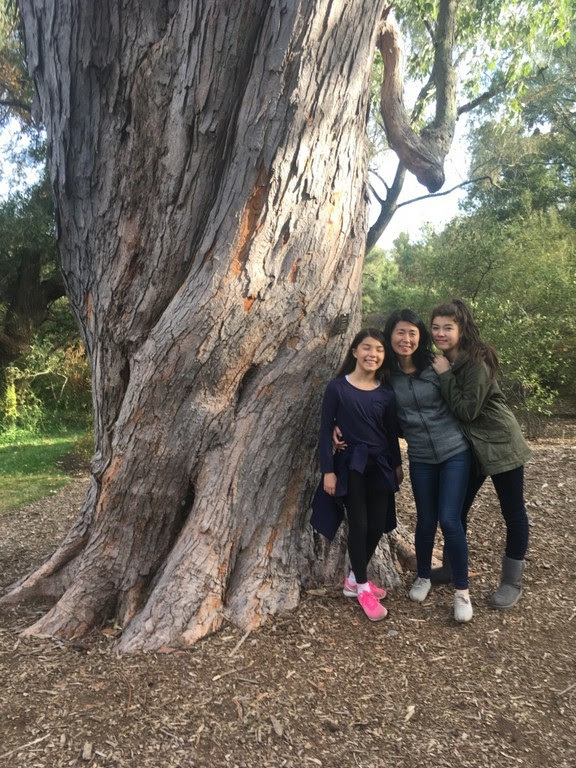 But about mid day she sat down with me and said “Remember, they’re still children – my kids at 11 and 13 – and they’d love to have an Easter egg hunt.” Ok, ok, I’m still father ; let’s do it! We filled plastic eggs with candy, useless rocks, dollar bills, and one had a note to give father a big hug. The eggs were distributed around the outside of the house and I boast to be rather clever about hiding them, and all the better if they are in plain sight, though somewhat unnoticeable. 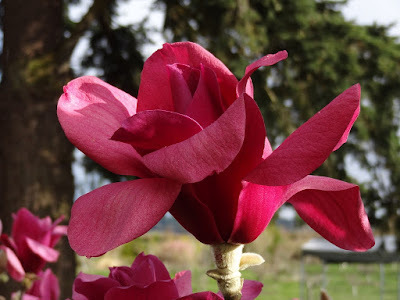 I put a dark red egg inside a low-hanging ‘Vulcan’ blossom, and I chuckled every time my kids walked past it looking ahead for another. 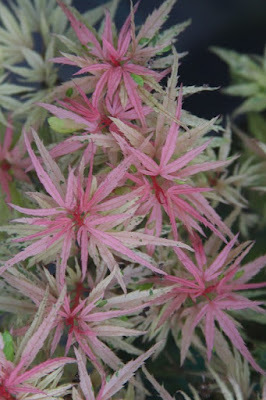 “Pink-red” is the color description most often used for two little mutant palmatum cultivars, ‘Beni kosode’ and ‘Pinkie’. Neither are easy to propagate and grow and powdery mildew is a constant concern, and these less-than-vigorous cultivars never produce substantial scionwood. 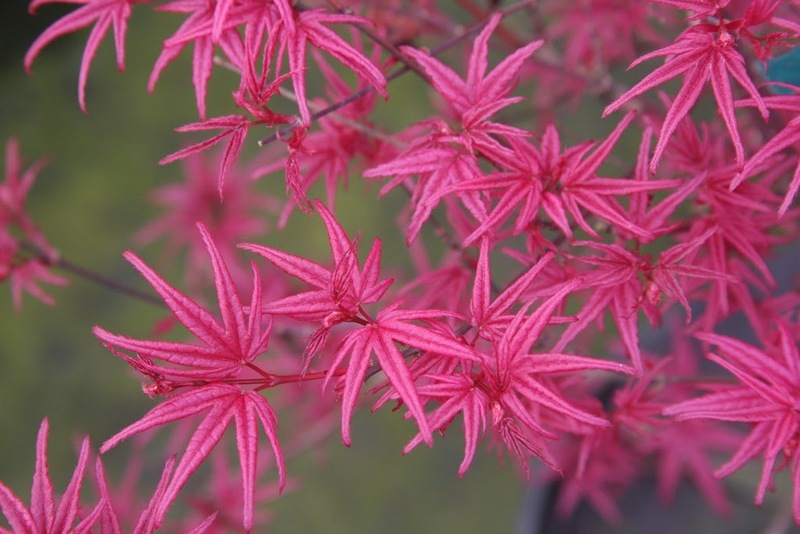 I can find very little information about ‘Beni kosode’ except that the Japanese name beni means “red” and kosode refers to a Japanese robe. Literally ko (small) and sode (sleeve) describe a t-shaped robe smaller than the traditional kimono. I can think of no blossom more “red” than Rhododendron x ‘Taurus’, and the “red” I mean is a pure red, not one with adjectives such as purple-red, pink-red, orange-red etc ; in other words red-red, the type color. 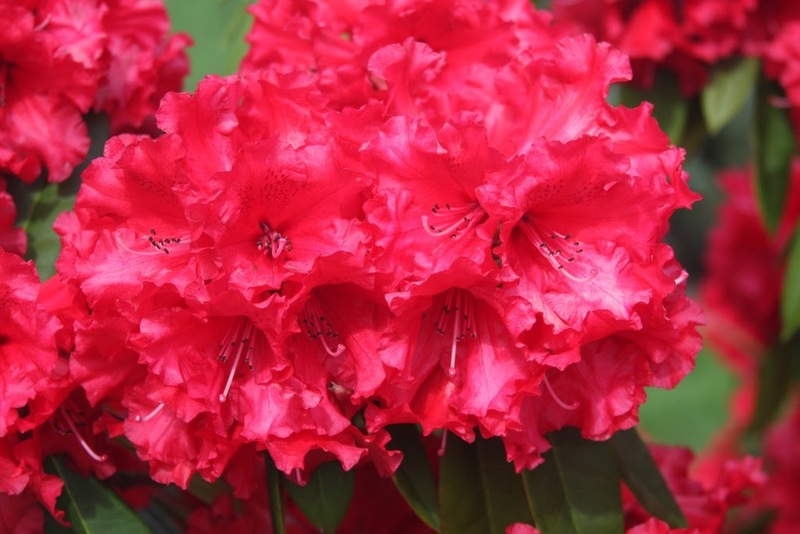 ‘Taurus’ was bred by the late Dr. Mossman of Vancouver, Washington using R. strigillosum crossed by R. ‘Jean Marie de Montague’. I’m not sure why he chose the name except that the zodiac sign, symbolized by a bull, refers to people born approximately between April 20th and May 20th, the same time that the Rhododendron blooms. 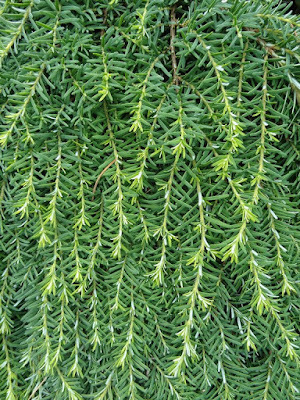 The parents of R. x ‘Taurus’ are of medium vigor, but neither grow to large size ; therefore I find it surprising, though rewarding, that x ‘Taurus’ surpasses them both in leaf and plant size. 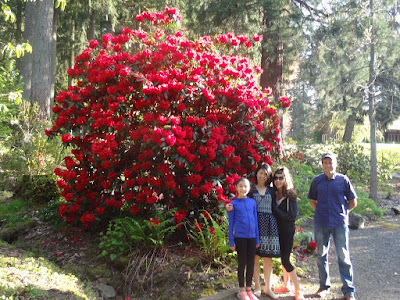 The monster photographed above with my family and intern Rodrigo was taken at the Jenkins Estate located west of Portland, Oregon in 2016. My employees are engaged with the nursery – and the plants there in – to various degrees. For some this is just a steady job where every day is an ordeal to survive, and a whole lot of energy is not devoted to understanding and appreciating the plants. 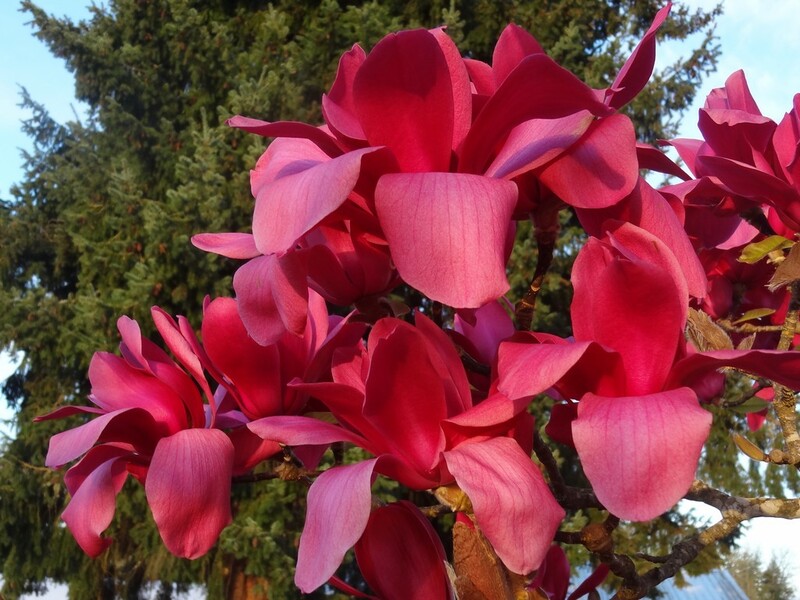 That would not be the case for office manager Eric Lucas who spends as much time possible outdoors, and in fact he has been responsible for us delving into floristic endeavors that I never would have dreamed of ten or fifteen years ago. Pleiones – the hardy terrestrial orchids – used to be just a hobby, but now we’re actually growing them for sale. Sticking with the theme of red color, some feature red bodies while others are lavender or yellow with red throats. We have dozens of cultivars and I can’t imagine any employees dismissing them as trivial. 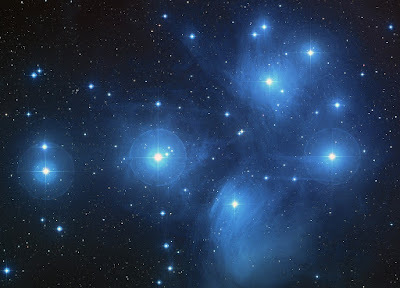 Today Pleione is a star in the Pleiades star cluster which is in the constellation of Taurus, and in Greek mythology she is the mother of seven daughters known as the Pleiades. 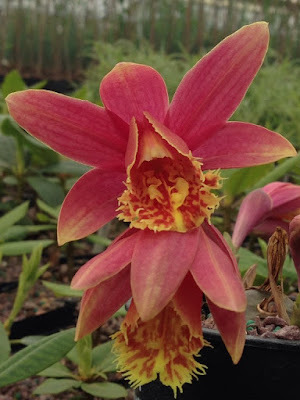 The orchids are native to Asia – I have seen them in Yunnan, China – and are in no way associated with bodies of water, yet in mythology Pleione was an Oceanid nymph. One thought is that the name is from Greek ple-o meaning “to sail,” and that the appearance of these stars occurred during the sailing season in antiquity. 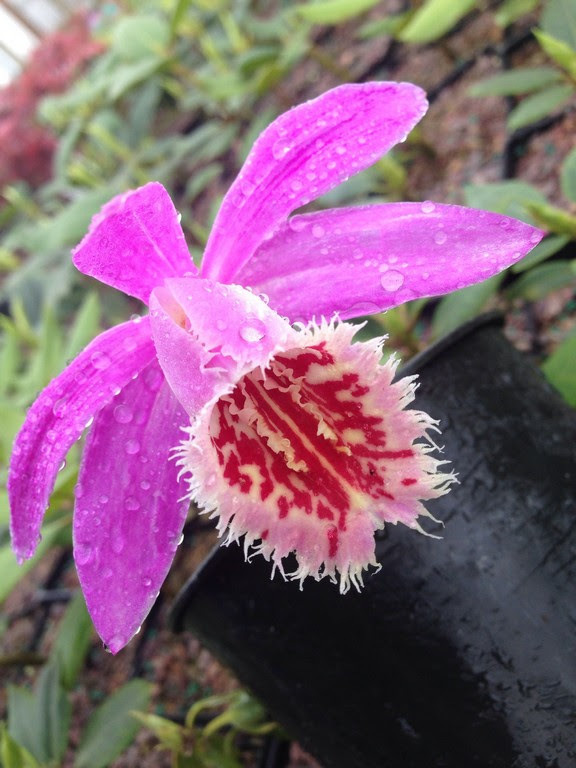 In any case most of the Pleione hybrids are easy to grow perennials hardy to about 10 F or USDA Zone 8. 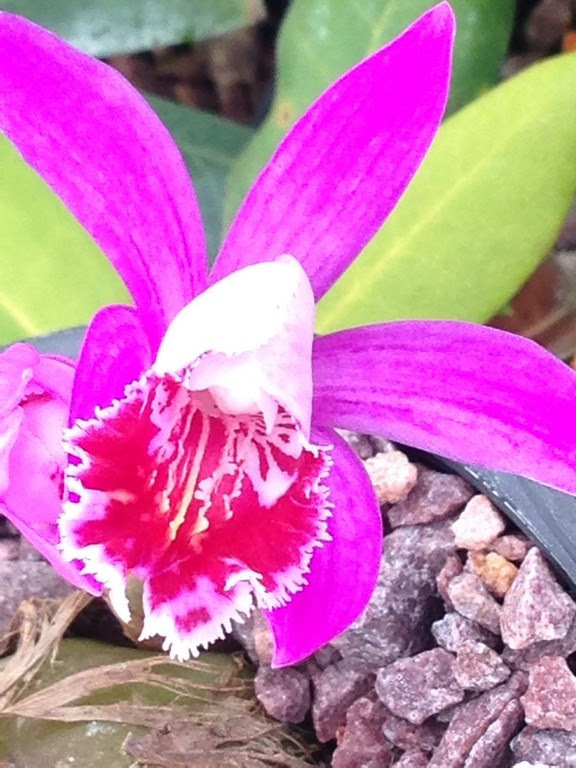 We have had some survive for many years in the garden, but for the most part our collection is in pots. 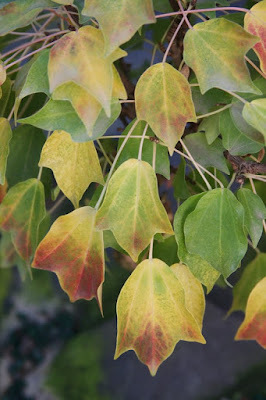 Those in the know bring them into the house in early spring and enjoy them on the windowsill. One could argue that red is overused in today’s landscapes, and it is true that in a tour of gardens in my modest hometown of Forest Grove, Oregon, the preponderance of red-flowering shrubs and red lace leaf and red upright maples will be quite apparent. 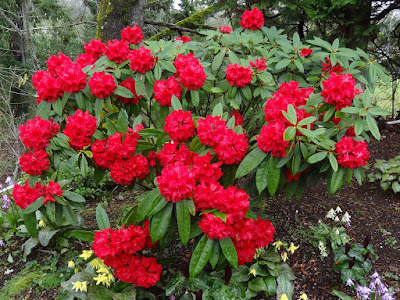 No one complains, as the red color adds a regality, a richness to the otherwise ubiquitous green of soggy Oregon’s foliage. Even lowly rental yards feature a red lace leaf along with plastic toys and the feral children who own them. 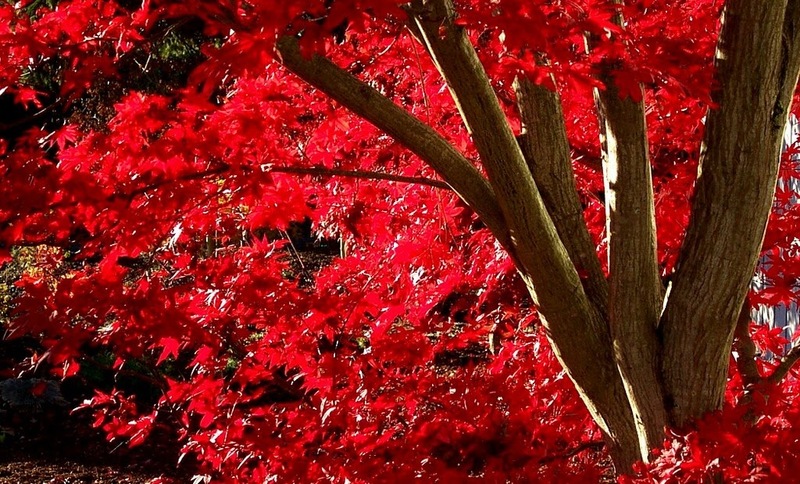 One can go to any box store and buy a red maple cheaply ; they are often potted into dirty half-filled containers where the field-ball’s plastic orange twine chokes the trunk. 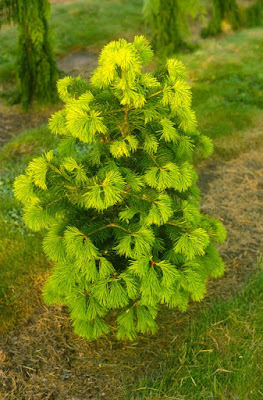 If watered adequately the first year the tree will survive a dozen years before the twine strangles it to death. 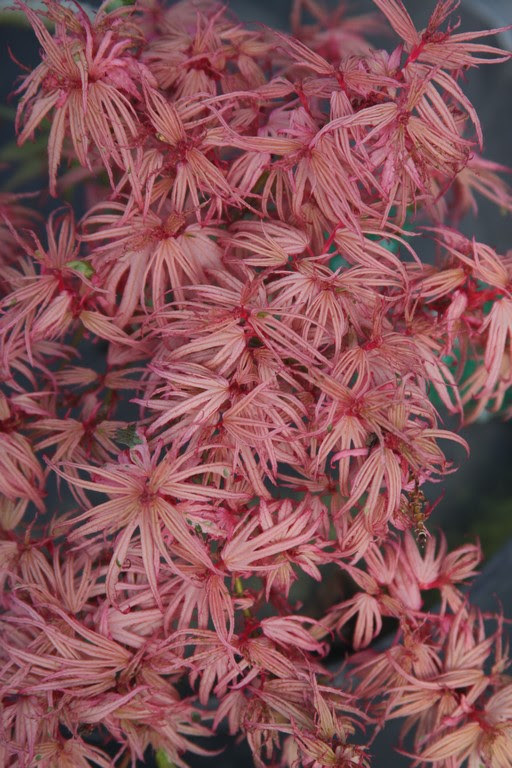 I don’t mind seeing red maples everywhere for the colorful species has been good to me, and I have to admit that about a half million of those reds were generated by the sharp grafting knives at Buchholz Nursery in the course of my career. 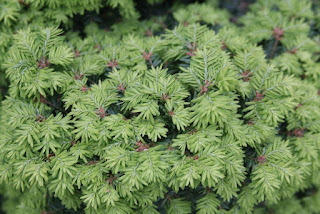 As a nurseryman, a plantsman, I never give short shrift to the green color, especially in spring. Even on my way to work I indulge in the myriad shades as they are presented in the low AM atmospheric light. Once I’m at work, it doesn’t take long until I find myself in the greenhouses. 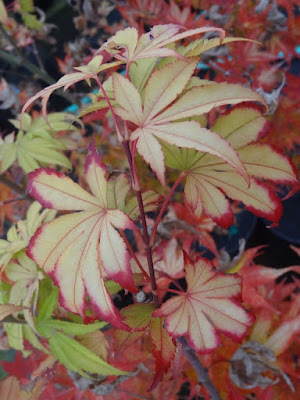 I make work lists, like potting up or pruning, and since we’re mostly finished with spring shipping, the majority of the remaining plants will be re-packaged and grown for next year’s sales. 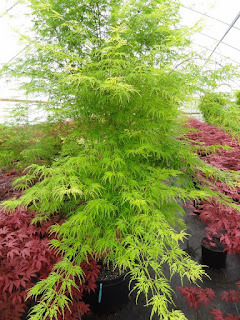 A relatively new cultivar is Acer palmatum ‘Usu midori’, a slow-growing upright with yellow- green leaves. 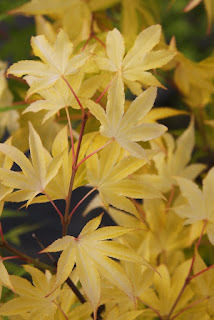 When used with Japanese midori (green), usu means “light.” The foliage begins yellow-green but with the onset of summer and strong light the leaves turn almost entirely yellow, and at this time it is important that the plant receives PM shade. An added bonus occurs in late summer/early fall when new growth features light yellow leaves edged in red, along with prominent red veins. 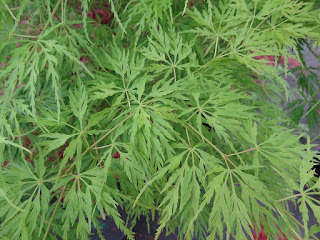 I don’t yet have ‘Usu midori’ planted out in the landscape. I’ll find a thoughtful location this fall, and I’ll accept that the tree might struggle for a season or two before establishing itself. New growth is light green for two dissectums, Acer palmatums ‘Emerald Lace’ and ‘Seiryu’, but both develop a solid green by early summer. 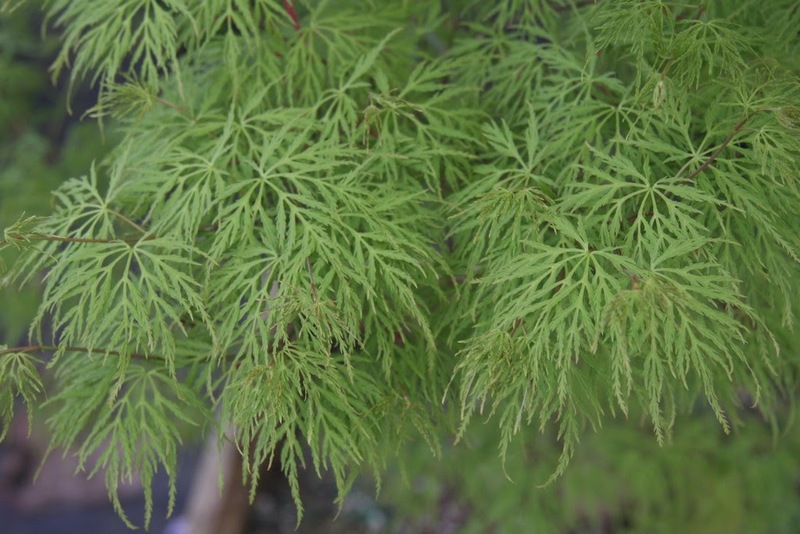 Leaves on the two cultivars are quite similar, both highly dissected and “lacy,” and the only difference is that ‘Emerald Lace’ forms a spreading bush while ‘Seiryu’ grows into an upright tree. 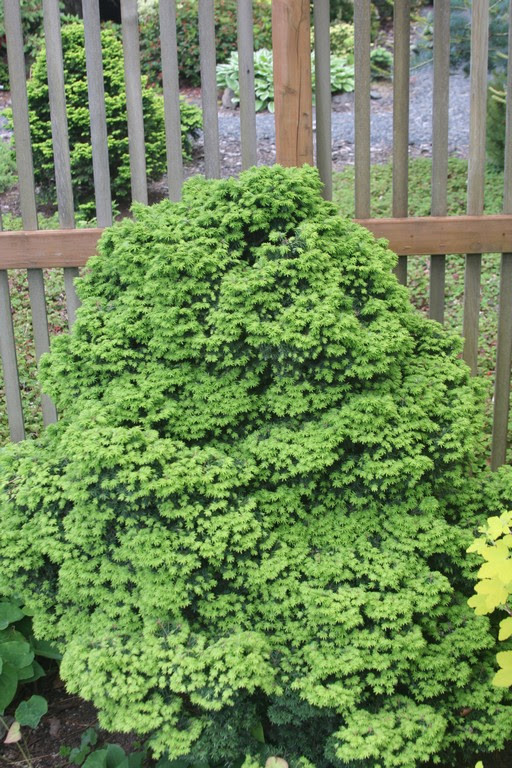 It might be fun to stake a main shoot of ‘Emerald Lace’, and then to keep staking it to maybe 10-12’ tall. 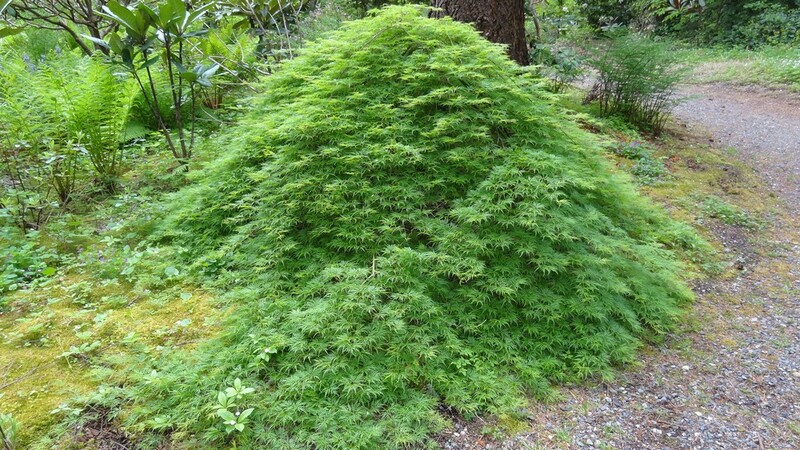 Would it eventually assume a leader… with drooping side branches? 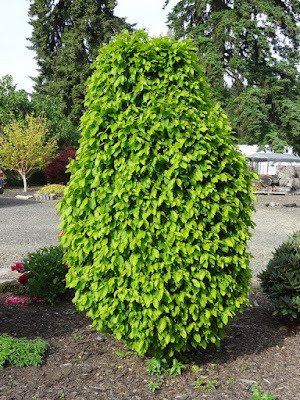 * I don’t know who first introduced ‘Seiryu’ but some (as in Missouri Botanic Garden) suggest that the name means “green dragon” while Mr. 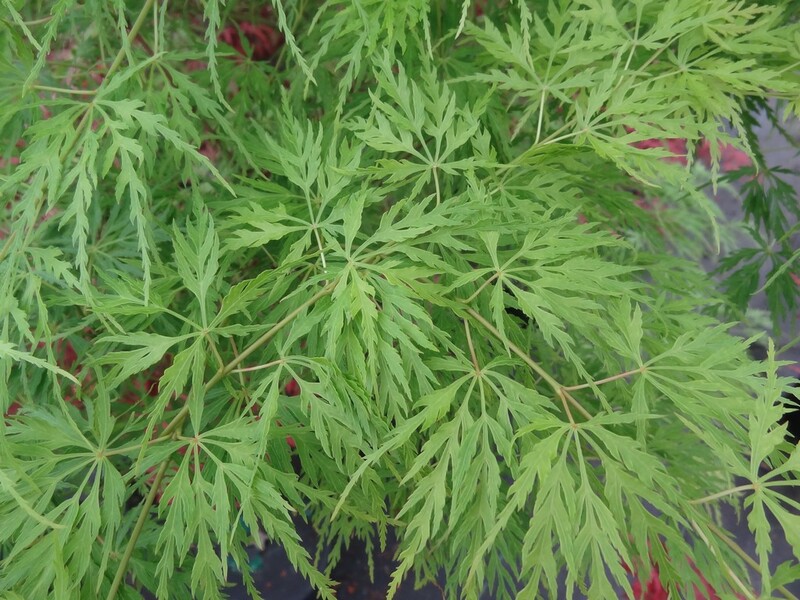 Maple suggests it means “blue-green dragons.” I don’t fathom the “dragon” part but it is a fine cultivar. 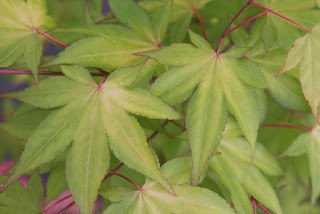 ‘Emerald Lace’, in spite of its finely dissected leaves, is the most vigorous laceleaf I grow. 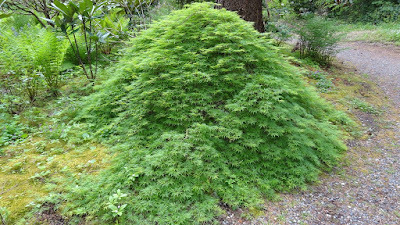 In a container a 5-year-old tree can produce one-year shoots 5 to 6’ long, and in the landscape I have had to remove ‘Emerald Lace’ because I underestimated how quickly it can grow. *One of the benefits of the Flora Wonder Blog is that you get ideas to try at home. Be sure to report the results. 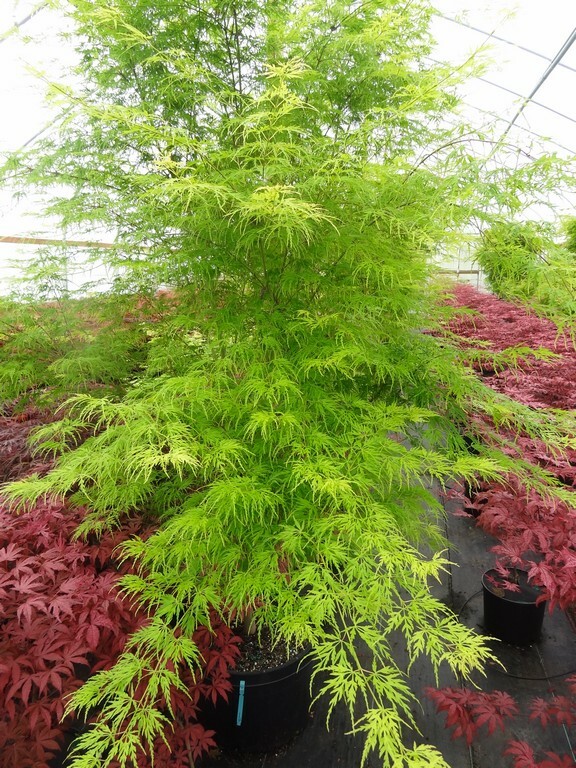 Two dwarf trees outstanding for spring foliage are Carpinus betulus ‘Columnaris Nana’ and Acer buergerianum ‘Miyasama yatsubusa’. 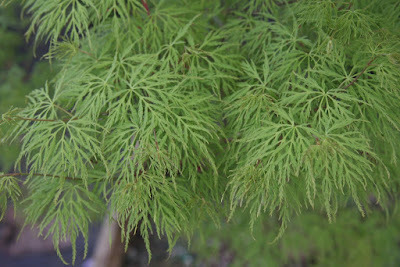 Both are fresh light green, but to a large extent their appearance depends upon the play of light upon their leaves. 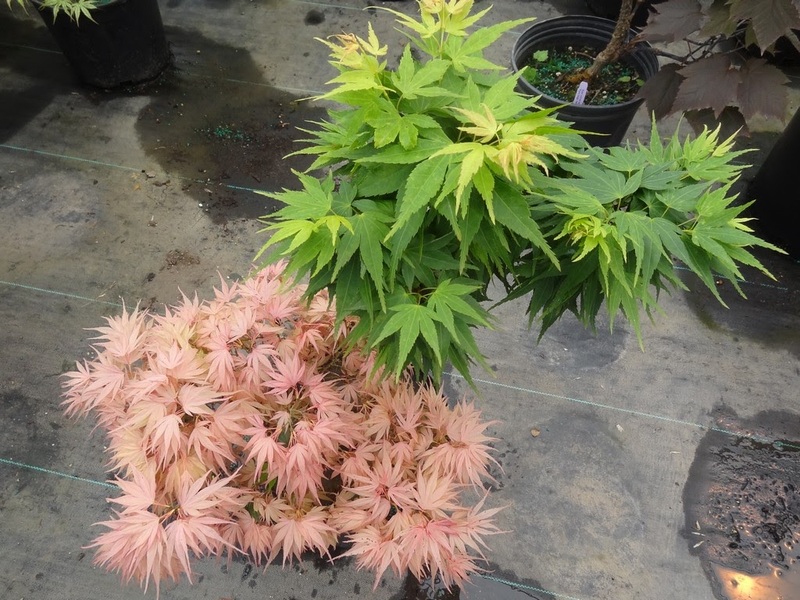 They grow into broad dense pyramids, with the maple probably a little slower growing of the two. If I could only have one I suppose it would be the maple and that would be due to fall color : the hornbeam turns a dull yellow in autumn (in Oregon) while the dwarf “trident” turns to bright yellow, orange, red and purple in autumn. Miyasama yatsubusa is the more rare of the two, and that is probably because it is – at least for me – the more difficult to propagate. The Japanese name miyasama means “prince” and yatsubusa refers to being dwarf. “Columnaris Nana” speaks for itself, while its specific name betulus refers to birch-like characteristics, and indeed Carpinus is a member of the Betulaceae family. The common name “hornbeam” is due to the extremely hard wood of the genus, and was once used in Europe to make yokes for oxen – the beam between the horns. 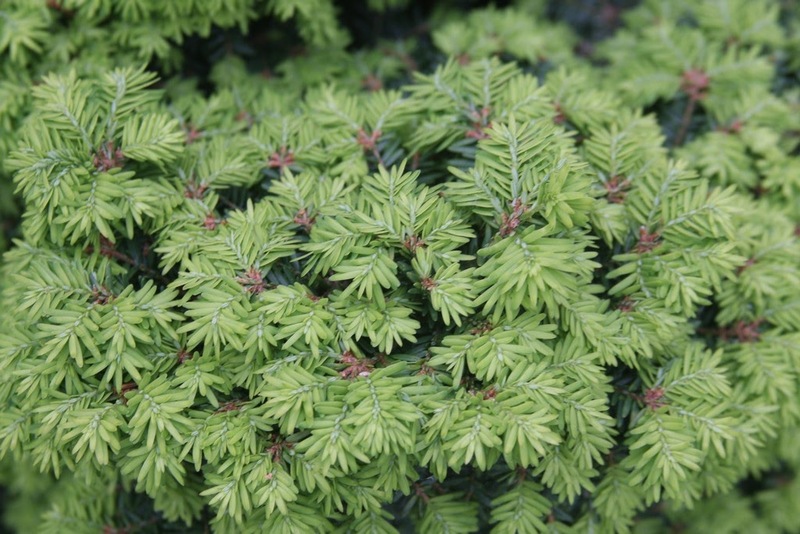 There are no conifers more delightful than the hemlocks in spring – plants are bejeweled with light green new growth which contrast with older dark green needles. 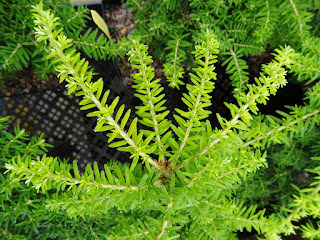 Tsuga canadensis ‘Little Joe’ is a favorite, and the photo above is from a 25-year-old 3’ tree that was given to me by hemlock guru, John Mitsch. 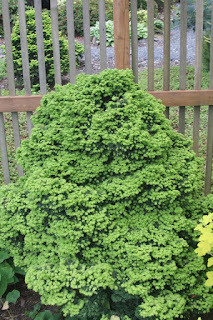 It is well placed in the shade of the lath house, but we no longer propagate it because I would be well into my 70’s before a rooted cutting would fill a one-gallon pot. 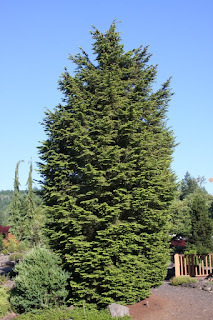 Tsuga heterophylla – the “western hemlock” – ‘Iron Springs’ forms a dense column, and in the literature (Heronswood) it has been called a “dwarf.” My specimen at the Pond House is 35 years old and almost 30’ tall, so dwarf it is not. 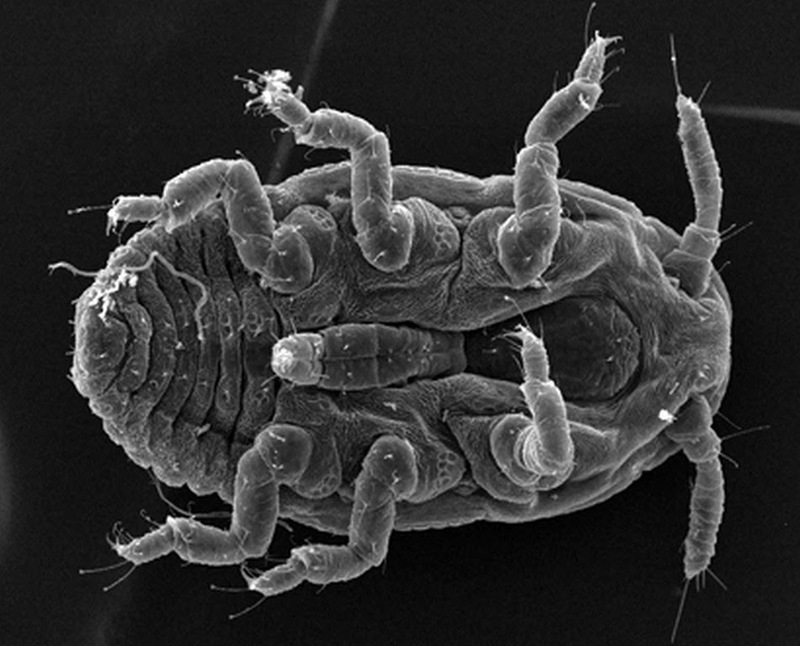 I wouldn’t be surprised if my specimen is the largest in the world – come forth if you wish to challenge! 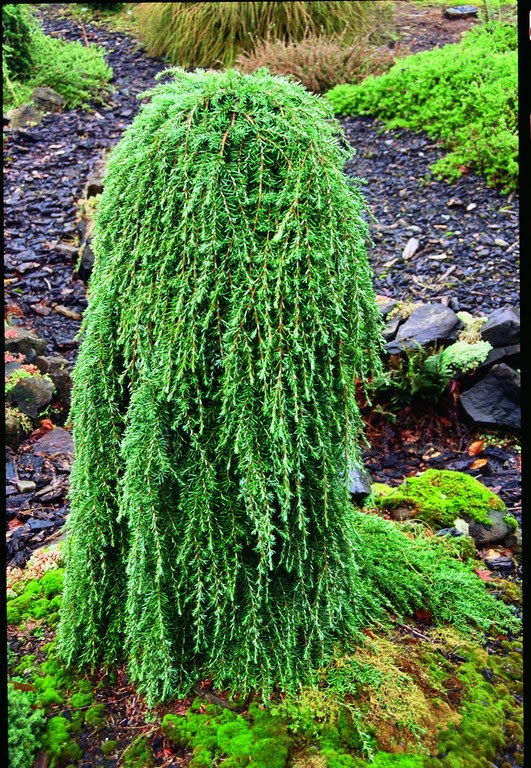 Much more elegant and refined than the various weeping Canadian hemlocks is Tsuga heterophylla ‘Thorsen’ AKA ‘Thorsen’s Weeping’. 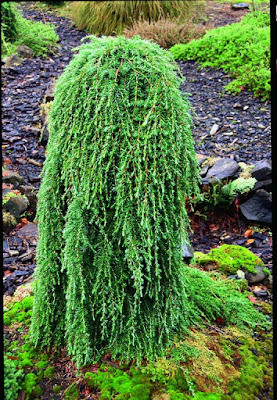 This dainty weeper can be staked – I once grew one to 6’ tall – or it can be left to its own devices where it will form a low-growing ground cover. 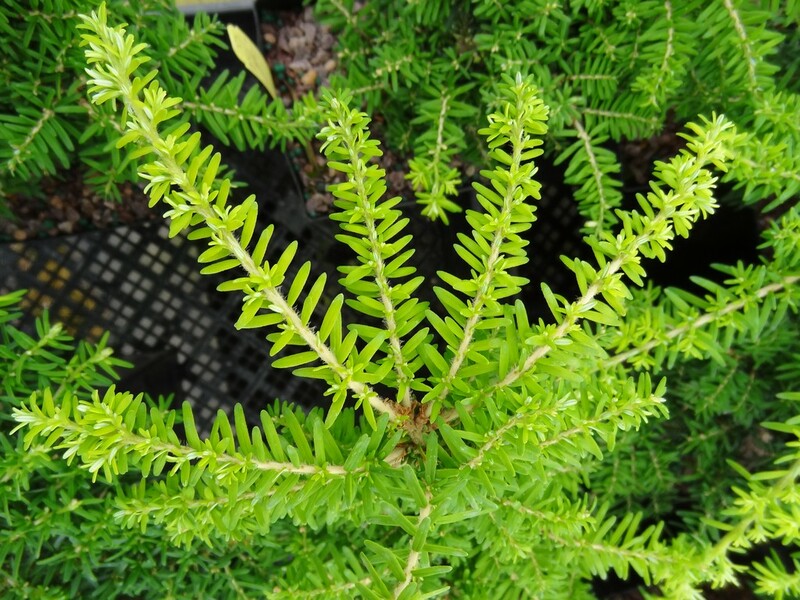 We don’t grow nearly as many Tsuga as we used to years ago due to the east-coast adelgid problem, an exotic pest that has bedeviled native stands as well as specimens in landscapes. The culprit is Adelges tsugae, native to east Asia, and it is a white wooly critter that feeds by sucking sap from the tree. 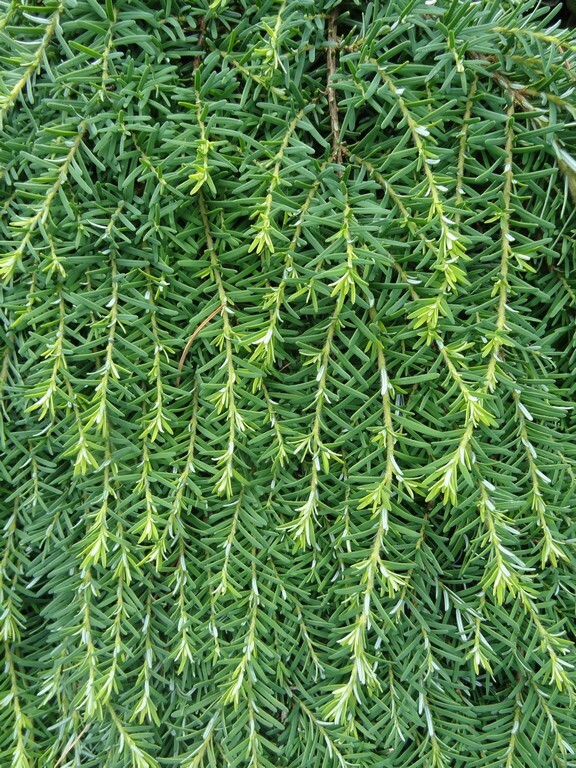 It is estimated that (as of 2015) 90% of the geographic range of eastern hemlock in North America has been impacted by hemlock wooly adelgid, but fortunately it has never occurred in my nursery. I’ll conclude with green spring new growth with Abies pindrow, the “West Himalayan Fir,” a species that is sadly not hardy for most of the Flora Wonder Blog readership. My start came from the late Otto Solburger’s collection, and on his North Plains, Oregon Christmas tree farm he amassed an arboretum of conifers that rivaled any in the United States. 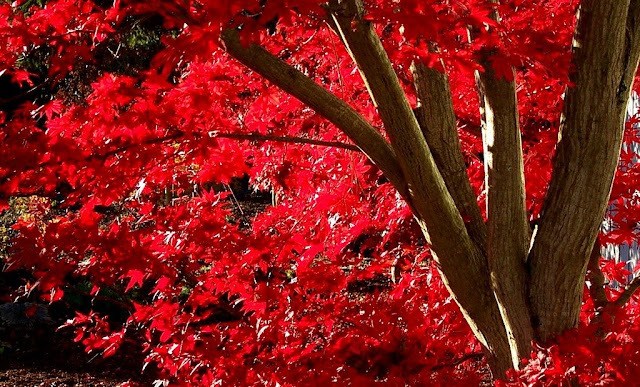 I never met the man and only knew him for his trees which outlived him. His wife, however, took delight that a young man (me) showed interest in her husband’s trees and she allowed me to have my way with scionwood. The single specimen of Abies pindrow was growing (too) close to a “Norway spruce,” Picea abies, and Solburger’s son – a logger – determined that the spruce was the more handsome of the two so he cut down the pindrow. 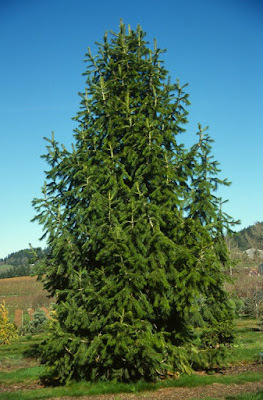 My propagules from 32 years ago – and I have seven of them in the Flora Wonder Arboretum – are now certainly the largest Abies pindrow in Oregon, if not in the USA. 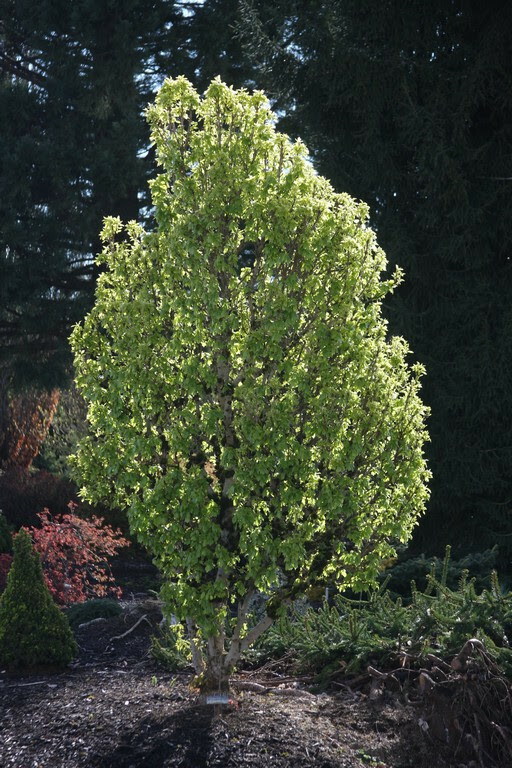 The plush new growth is a wonderful example of green-in-spring, but it can be susceptible to late frosts. Thankfully this year we escaped such disaster. Most of my springs are past with only a handful left. Hopefully my family and younger friends will enjoy the season as I have for so many years.